On April 12, Brass Union will host a tribute evening in honor of Ken Kelly, notable Somerville restaurateur and business leader who passed after a long battle with cancer in December. 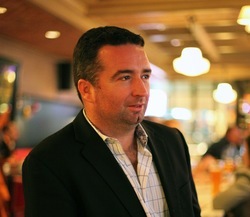 In 2001, Kelly founded The Independent in Union Square and later opened sister restaurants Foundry on Elm, Saloon, Brass Union and River Bar in addition to the Davis Square Theatre. Held on his birthday, attendees will raise funds to support the four cyclists riding the Pan-Mass Challenge in his name. The Pan-Mass Challenge raises money for cancer research at the Dana-Farber Cancer Institute and all funds will be donated to Dana-Farber, helping Alan Kelly, Conor Brennan, Dennis Moynihan and Kira Tangney achieve their PMC fundraising goals. The event will feature live music from Ronan Quinn, the Johnny Come Latelies and Paddy Saul. Additionally, there will be a complimentary buffet, cash bar, raffle and silent auction, including tickets to the Red Sox and Patriots games, NASCAR events, artwork, construction services, cooking and cocktail classes, wine gift baskets, gift cards from local businesses and much more. The Independent, Foundry On Elm, Saloon, Brass Union and River Bar – will debut a special barrel aged cocktail in his honor where 100% of the sales will be donated to the Dana-Farber Cancer Institute. The limited edition Lanesboro Cocktail: A Tribute to Ken Kelly ($16) was aged for five months in a used Hungarian white oak barrel, bottled by hand in-house, and will be available until supplies allow. The cocktail is inspired by Kelly, a native of Ireland, and is a spin on a classic Irish cocktail, the Tipperary. 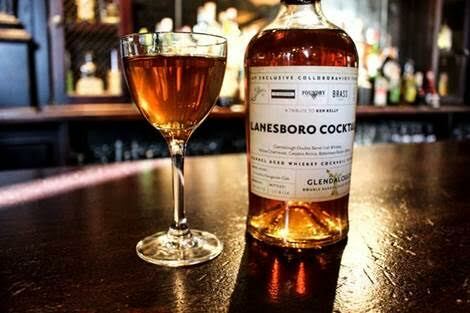 Named after the town where the Kelly family resides in Ireland, the Lanesboro Cocktail uses Glendalough Double Barrel Irish whiskey, Yellow Chartreuse, Carpano Antica and Bittermens Boston Bittahs, a blend of ingredients chosen to best showcase Kelly’s legacies in Ireland and Boston that will not soon be forgotten.